Katzenbach & Warren, Inc., one of the major twentieth century New York wallpaper manufacturers, introduced their new line of “Sculptured Wallcoverings” in 1946. This line initially consisted of two relief patterns: one imitating woodgrain, the other straw matting. Additional patterns were introduced in 1948 including Brick. All of the patterns in this line were completely scrubbable. These sculptured wallcoverings are all in relief and cast from actual materials. These were produced in shades of off-white and tan. If these colors didn’t fit your palette each could be painted, glazed, antiqued, or hand decorated to suit the owner’s taste. These plastic wallcoverings contained an ingredient list similar to linoleum and have a feel much like linoleum. And while this material had some heft, it was produced in roll form and could be installed like any heavy wallpaper. 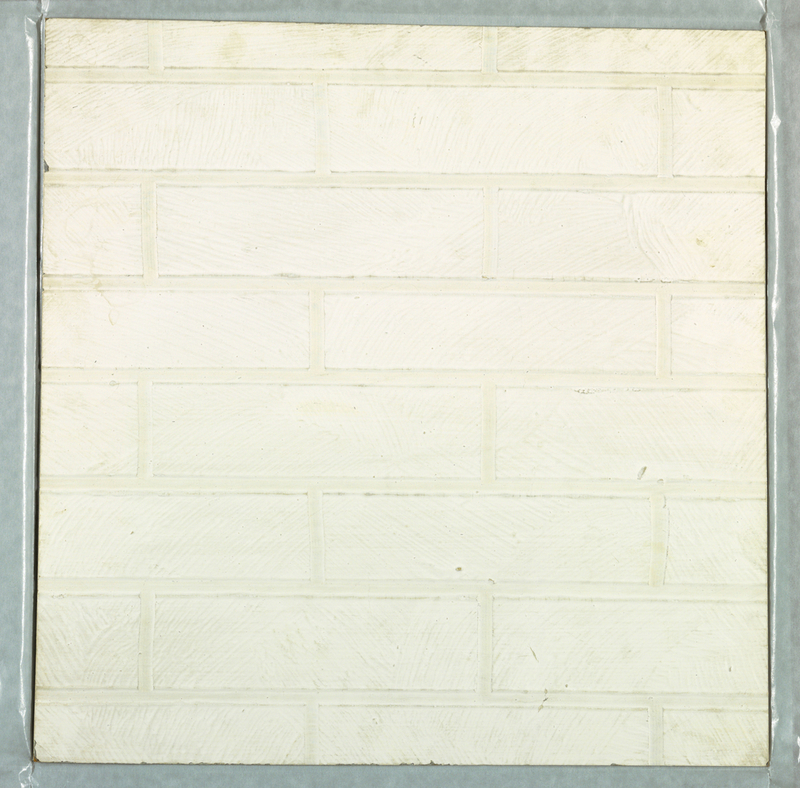 The manufacturer also stated several of the patterns, including Brick, were appropriate for use on floors. While Katzenbach & Warren introduced some new patterns appropriate for mid-century homes, the material itself seems like it was very similar to Lincrusta-Walton. Lincrusta was developed by British inventor Frederick Walton in 1877, based on the linoleum formula of which he was the inventor several years earlier. Lincrusta was the first totally scrubbable wallcovering on the market and was said to be nearly indestructible. Relief wallcoverings definitely have their place as they look like the real thing, cost much less, and are easier to install. As they can be painted to match the home’s décor, they allow for a very custom wall treatment. Welcome back from the forced hiatus – you were much missed! Your comments on this relief wallcovering reminds me of those that has a brief resurgence in the late 1980s to 90s. Perhaps is it time for another generational discovery.